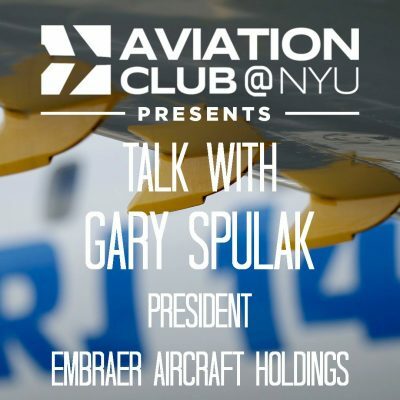 Please join Aviation Club and Gary Spulak, President of Embraer US, for a discussion and case study on Thursday, December 1 at 6:30PM. You can expect a really interesting & topical interactive case study on a major aerospace investment decision. 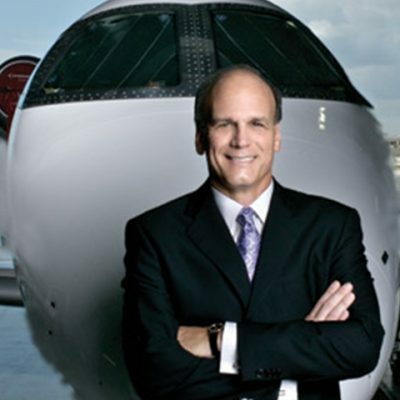 You will also learn about how Embraer “made it” in the US and global market dominated by established manufacturers, and how aircraft manufacturers develop new families to meet customer needs. 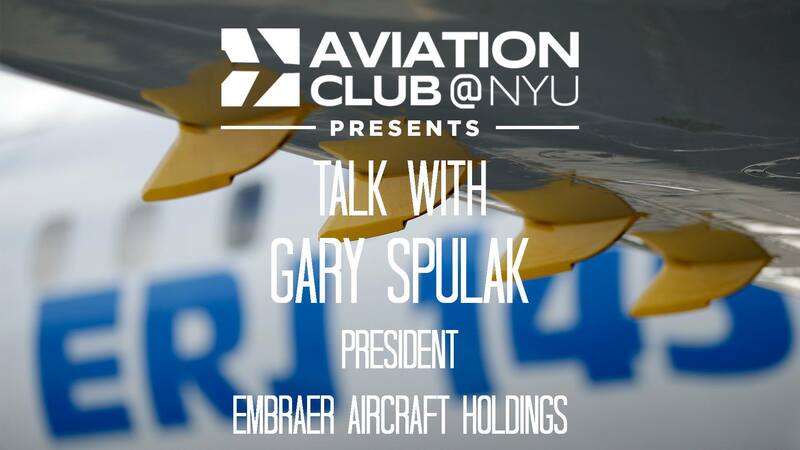 Gary will also discuss careers in aviation in general and opportunities at Embraer. The company has just launched a new Global Trainee Program and have been seeking candidates for it. A New York City native, Gary began his professional career at Federated Department Stores developing cross-division IT solutions. 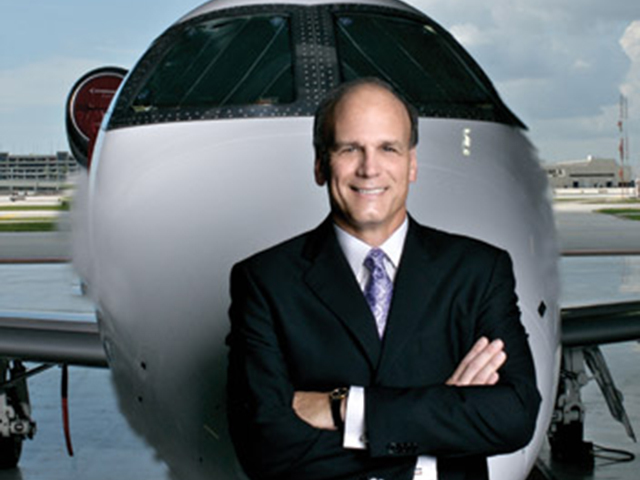 He joined Embraer in 1983 as Vice President of Product Support and Information Technology, where he developed and directed the infrastructure to support the successful Bandeirante and Brasilia commercial aircraft in North America.